Deliver high-quality classroom presentations with fewer shadows using this 3,000 lumen-projector from the world’s leading projector manufacturer. 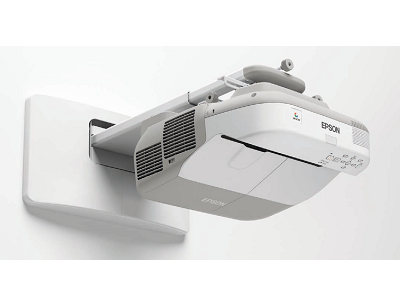 The EB-480 projects a large image from a very short distance thanks to its ultra-short-throw capabilities. Helping budgets go further, running costs are kept low with the long lamp life of 4,000 hours, or four years, in eco mode, and 5,000-hour filter life.